For one thing, Yale College doesn't calculate class rank or standing, and neither does Yale Law School. 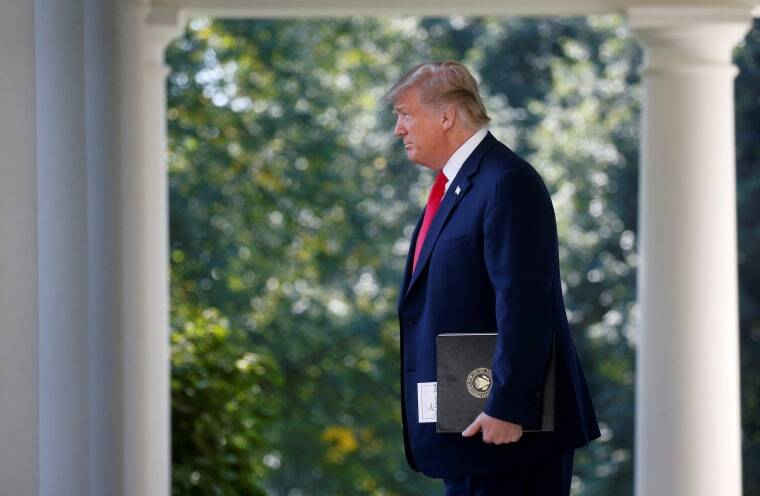 During a wide-ranging news conference that tackled trade and the sexual misconduct allegations against Supreme Court nominee Brett Kavanaugh, President Donald Trump got several things wrong about his pick. 1. "I think he was No. 1 in his class at Yale. He was No. 1 in his law school at Yale," Trump said. Trump is incorrect, since Yale College doesn't calculate class rank or standing, and neither does Yale Law School. 2. “A charge made or said to have occurred 36 years ago — and nothing happened since," Trump said, referring to Dr. Christine Blasey Ford's allegation that Kavanaugh sexually assaulted her in 1982. Deborah Ramirez accused Kavanaugh of exposing himself to her when they were students at Yale College — an accusation that would have occurred approximately a year after the high school allegation. Kavanaugh has fiercely denied all accusations of sexual misconduct against him. 3. “I was surprised at how vocal he was that he likes beer and that he’s had a little bit of difficulty. He talked about things that happened when he drank. This is not a man that said alcohol was — that he was perfect with respect to alcohol," Trump said, responding to a reporter who asked about concerns that Kavanaugh had mischaracterized his drinking habits while testifying last week. Kavanaugh did not say that "he's had a little bit of difficulty" or discuss "things that happened when he drank" in his testimony Thursday. Rather, Kavanaugh insisted he was a casual drinker, with no problems. In his opening statement, Kavanaugh said: "I drank beer with my friends. Almost everyone did. Sometimes I had too many beers. Sometimes others did. I liked beer. I still like beer. But I did not drink beer to the point of blacking out, and I never sexually assaulted anyone." Later, when pressed by Rachel Mitchell, the Arizona prosecutor hired by Republicans to question Ford and Kavanaugh, what he considered "too many beers," he said, "Whatever the chart says, a blood-alcohol chart." When pressed by Sen. Amy Klobuchar, D-Minn., whether he had ever drank so much he didn't remember what happened, he answered: "I don't know. Have you? Klobuchar: "Could you answer the question, Judge? I just — so you — that’s not happened. Is that your answer?" Kavanaugh: "Yeah, and I’m curious if you have." Kavanaugh: "Yeah, nor do I." Trump seems to be suggesting that the women alleging misconduct are isolated in their descriptions of Kavanaugh, but several of his classmates in high school and college have said he was an extremely heavy drinker whose behavior was altered by his drinking. Others have defended his behavior, and issued statements on his behalf. What's more, 12 years ago when Kavanaugh was being confirmed as a federal judge, the American Bar Association downgraded their approval rating of him and raised concerns about behavior in the courtroom and fairness, The Washington Post reported this week. Still, Trump did get one thing right — about his own drinking habits. Indeed, there is no evidence that the president has ever indulged in a drink.